In a large saucepan melt butter over low heat. Add marshmallows and stir until completely melted. 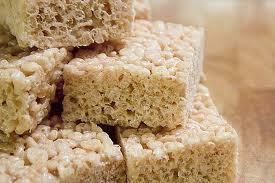 Remove from heat and stir in Rice Krispies until well coated. Pour into a 9x13 pan and press down with wax paper until flat. Cool. Cut into squares.